In 2015 our program introduced the loyalty patch award to be given to each Wildcat Wrestler that commits to attend each of our required wrestling meets. The award is meant to honor those individuals who show up to compete to support their Wildcat family as they step to the line to represent our community. Our coaching staff truly appreciates the loyalty displayed by all recipients and the commitment of their families. 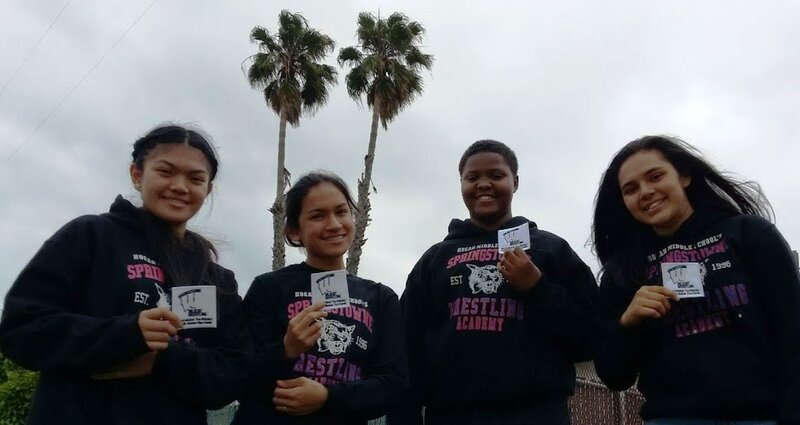 Isabella Mendoza, Gabriella Lozano, Jahon Williams and Scarlett Sarantes became the 1st 3-Time Loyalty Patch Recipients in 2017!! !